Great article showing how to learn English and get better at it. Guide on 6 books which can help you improve your English vocabulary. Find out about the ways you can become a better writer, speaker and learner of the English language. 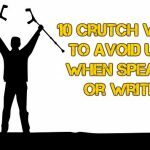 Do not miss reading about these 10 crutch words to avoid using when speaking or writing. Too many people continue to use the words on this list incorrectly. Are you one of those people? Do you use WhatsApp? 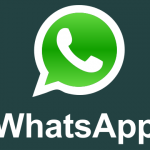 If so read how to use WhatsApp to learn English fast and easy. Helpful tutorial showing how to easily use chat groups, calls and other ways to learn to speak and write English better. 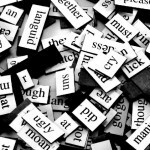 Questions such as the origin of the English language are answered in this article containing the facts and history of the English language. Find all you need to know about the language. Why is English Hard to Learn? Many people who are learning to speak and read in English ask themselves why English is so hard to learn all the time. Find out. In- vs. Un- Which Prefix should I use? 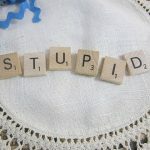 There are many spelling and grammar rules in the English language, yet, some aren't clearly defined or even known. The issue of in- vs. un- for example. 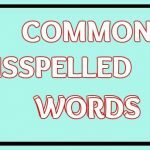 Find out more about which prefix to use on which word by knowing these strategies and rules of thumb.